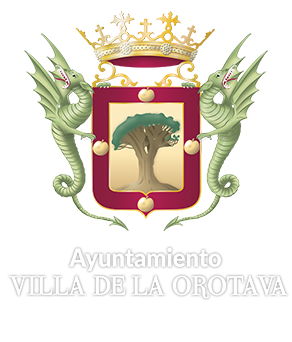 There are a number of climatological and geographical factors that determine the excellent quality of the La Orotava sky for astronomical observations, one of the best in the world. As this is the municipality with the greatest slope of all Spain (from 0 to 3,718 metres), part or our territory is above the typical ‘sea of clouds’, which acts as a natural barrier for the light pollution of nearby populations. Tenerife is located near the terrestrial equator; therefore it counts with visibility over the whole northern celestial hemisphere and part of the south one, practically all year round. The so-called Sky Protection Law, pioneer of its kind, regulates the illumination of exteriors, the radio-electric power, the polluting industries and the air traffic over the Canary Islands’ observatories. For a correct observation of the stars, we must be in a place far from any source of light. This means avoiding cities and also the moon, especially when it is full. It is best to get away from the roads and carry a flashlight with a red band that illuminates only what is necessary to read a celestial map. An open place with the widest possible field of vision will also help us. The twilight arrives and that's when the experience begins. The presence of divinities and astral cults is a constant in the Archipelago: the sun, the moon and other celestial entities, as well as protective spirits that could be incarnated in the ancestors and evil forces with diverse manifestations. Sirius is the brightest one in the entire night sky seen from Earth, 8.6 light years away. Canopus is the second brightest one in the night sky, no less than 310 light years away. Arcturus (Alfa Bootis) is the third brightest star in the night sky and the brightest one in the northern celestial hemisphere, 37 light years away. Alpha Centauri is the closest star system to the Sun and it is about 4.37 light-years away. Vega (Alpha Lyrae) is the fifth brightest star in the night sky and the second one in the northern celestial hemisphere after Arcturus. It is considered a relatively close star, only 25 light years away from Earth. Vega was the Polar Star around the year 12000 BC. LA OROTAVA SUMMITS ARE A STARLIGHT RESERVE. A Starlight Reserve is a protected natural space where a compromise is established for the defense of the quality of the night sky and the different associated values, whether cultural, scientific, astronomical, scenic or natural. The requirements in a Starlight Reserve will specifically meet the characteristics, singularities and functions of each space, whether related to the preservation of astronomical observation conditions, those related to the conservation of nature, the integrity of the night landscapes or related cultural heritage sites. The concept of Starlight Reserve is accompanied in each case by a participatory Action Plan and a set of recommendations aimed at preserving or restoring the quality of the night sky to the possible limits as it is a source of cultural, educational, scientific and environmental benefits. The Teide National Park and La Orotava summits have received the Starlight certification, awarded by the Canary Islands’ Astrophysics Institute through the Canary Islands’ Foundation for the Dissemination of Astronomy. The Starlight initiative was created in 2009 and is sponsored by international organizations such as UNESCO, the World Tourism Organization (UNWTO) and the International Astronomical Union (IAU). The Teide National Park thus becomes the first World Heritage Site designated as Starlight Destination that complies with the requirements and procedures established for the protection of the sky and its associated natural and cultural values. Ascending by the TF-21 main road in the direction of the Mount Teide National Park, at kilometer 5 we can see the deviation to the populous neighborhood of La Florida on the left. Take this detour and continue driving by the road until you reach this small viewpoint, located at 575 metres above sea level. Taking the detour to the neighbourhood of Benijos, we find this viewpoint located in the square of this neighbourhood at 910 metres above sea level. Ascending by the TF-21 main road and at km 19 we find this viewpoint, located at 1,248 metres above sea level. Vista a La Palma (La Palma View) Viewpoint. It is located at kilometre 20 of this main road, at approximately 1,350 metres above sea level. Following the main road after the Portillo crossroads and heading towards the National ‘Parador’ (government run hotel), just opposite it, we arrive at this viewpoint, located at 2,135 metres above sea level. In the La Orotava - Santa Cruz main road, before reaching the area known as ‘La Cuesta de la Villa’ we find this viewpoint, located at 320 metres above sea level. Cuesta de La Perdoma Viewpoint. Located on the La Orotava - Los Realejos main road by La Perdoma (TF-324), at 425 metres above sea level. On the coast of Villa de La Orotava we find this viewpoint practically at sea level. In Mount Teide National Park you have the option to take a self-guided tour by a total of seven points in which you can observe the relationship existing between this World Heritage Site, stars and planets. Mount Teide and the Sun share a vibrant secret. Location: Minas de San José Viewpoint. Landscapes from another planet at your fingertips. What time was Mount Teide formed? Tenerife Mounts are on the Moon. Location: Roques de García Viewpoint. Evidence territory to search for signs of life on Mars. Would Mount Teide be a giant on Mars? Location: Llano de Ucanca first viewpoint. A catalogue of eruptions in the solar system. Location: Juan Évora Museum Car Park.